A bomb goes off in New York’s Wall Street district. John McClane is suspended from the NYPD. Which is a problem, not only for him but for New York as a terrorist specifically asks for McClane to answer his ransom demands. A deadly game of Simon Said ensues across the streets of the Big Apple. 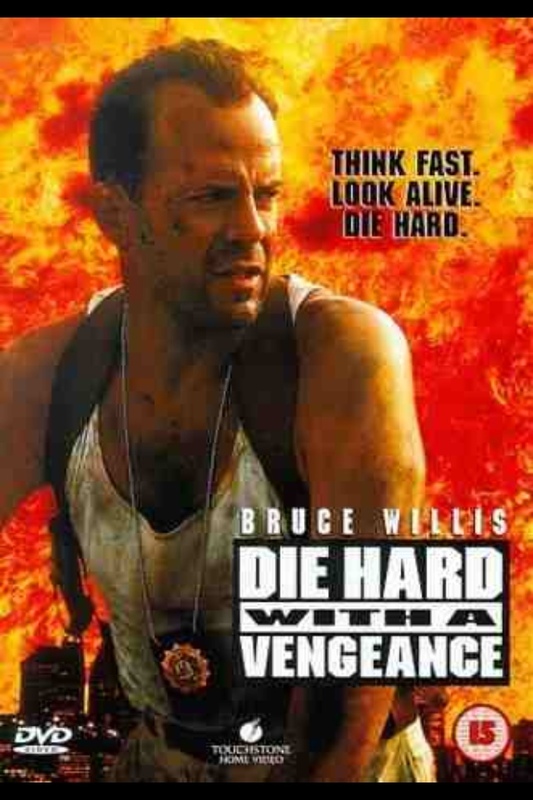 Can McClane figure out the terrorists plans and why he chose him for this “mission”? 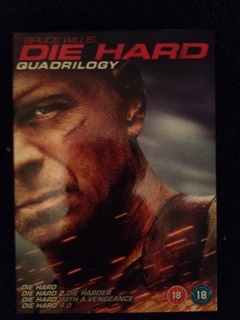 As McClane (Bruce Willis) is sent from district to district each task is designed to keep him and the authorities busy. During one such task he is assailed by a gang of youths, probably the big sign on his chest which is pretty offensive to the Harlem lads. His life is essentially saved by store keeper Zeus Carver (Samuel L Jackson). This interferance brings Zeus into the game – at the insistance of the terrorist on the end of the phone. The terrorist calls himself Simon (Jeremy Irons), which at first just seems an excuse to play the sinister game. After McClane and Carver save many lives when a bomb goes off in a train station, Simon is revealed to be the brother of Hans Gruber, the thief McClane thwarted in LA. It appears Simon is out for some personal revenge. But McClane isn’t convinced and his suspicions are confirmed when he visits the site of the first bomb and find a huge, audacous robbery in progress. A welcome return to form, five years after the second movie. The movie is riddled with humour throughout which works extremely well and with huge, impressive set piece action sequences. Samuel L Jackson and Bruce Willis play so well off each other, essential for this character driven element of the story, that you get sucked in. Perfect cinema. There is a real sense of panic throughout and the worry around the subplot of a bomb in an unknown school lends direction to the required games. The movie uses New York like a character, almost allowing her to develop as the film moves through its various stages. Jeremy Irons chews through his script wonderfully, he even has his character acting out roles! Enough twists to keep the plot going throughout.